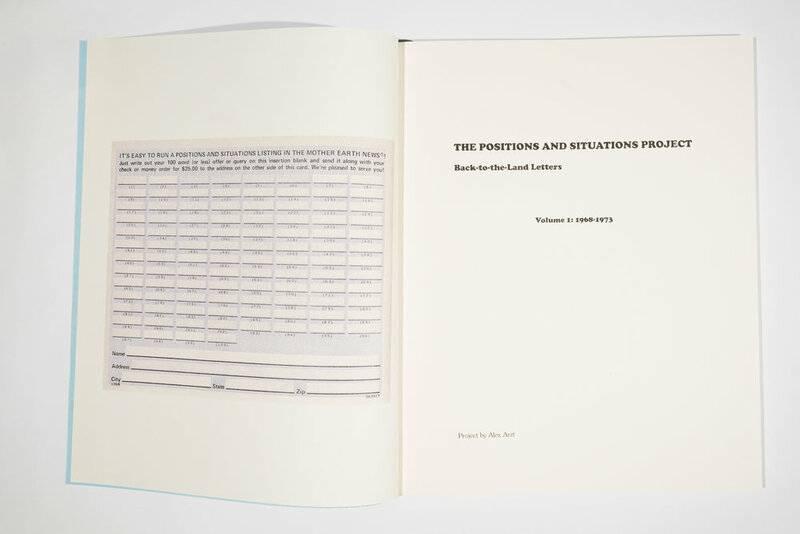 The Positions and Situations Project: Vol. 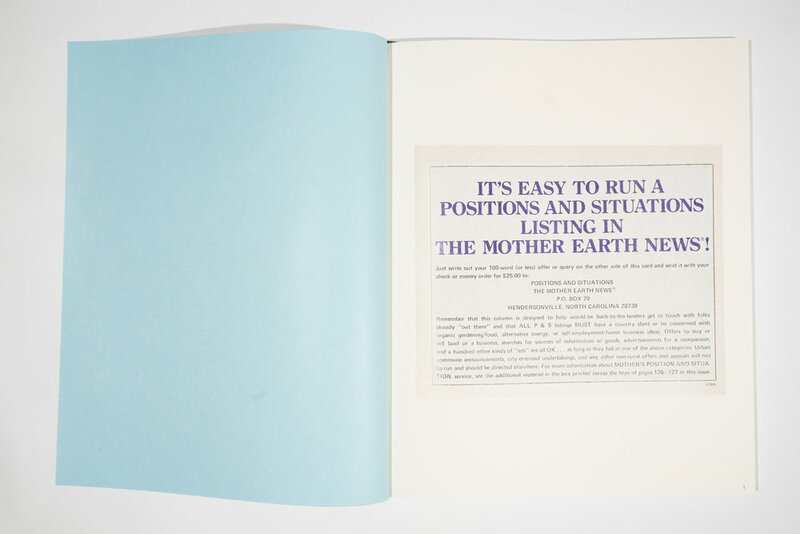 2, 1974-1975, printed on a Riso EZ590U in 5 colors, 190 pages, 9.5 x 11.75 in, perfect bound, Cougar Natural Smooth paper, Edition of 200, Released October 2018. 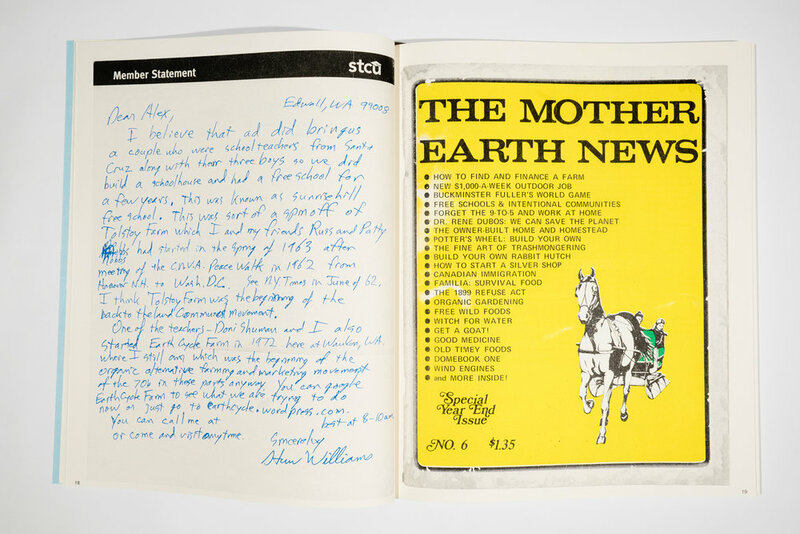 The magazines are a product of what is known as the Back-to-the-Land Movement of the 1970s. After the tumult of the 1960s counterculture, many young people were disillusioned with the political system, the Vietnam War, consumerism, and pollution and were looking for both a way out and an alternative. Many were seeking land and a community to test out the ideals and experiments they cultivated during the counterculture and hippie years. From the late sixties through the mid seventies, one of the largest urban to rural migrations in American history occurred. Progressive minded twenty-somethings left the cities in droves for rural areas to start homesteads and join communes. The ads were “designed to help would-be back-to-the-landers get in touch with folks already out there” and were required to have a “country slant.” The 100-word P&S ads are vignettes into the dreams, goals, and desires, both practical and impractical, of a cohort of people in their twenties seeking the lifestyle The Mother Earth News promised. Full names, addresses, and ages of the ad-placer are often listed, and Alex used that information to search for their current address on public records search sites. 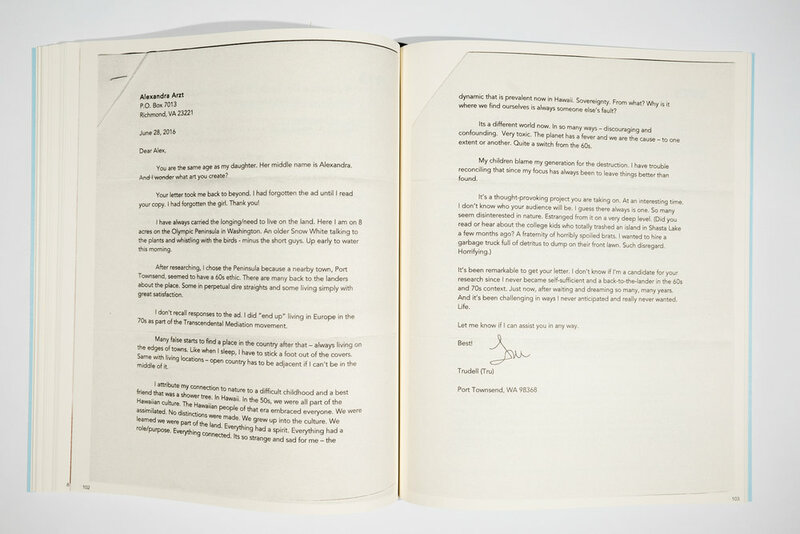 Her initial letter form to the ad-placers has evolved as her own situation has changed and as the project developed, but from the beginning, it has asked two questions: What came of the ad? Did you find what you were looking for the year the ad was placed? 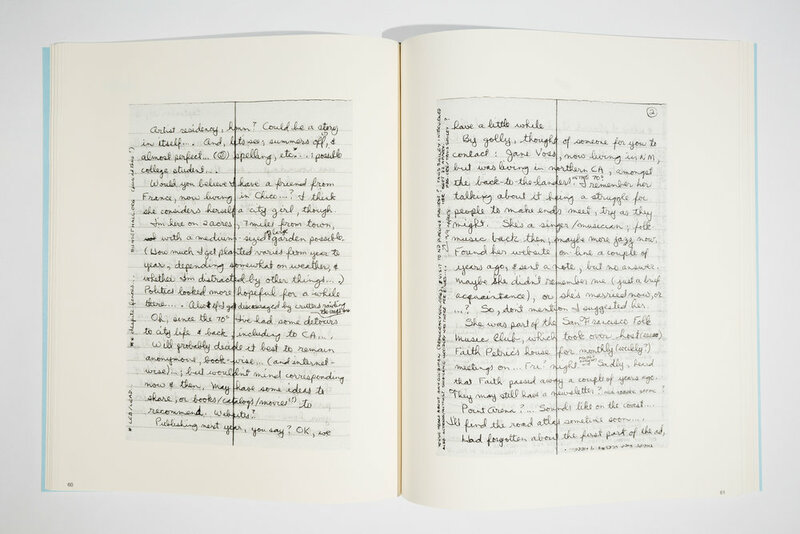 The letters encompass the failures and accomplishments of the back-to-the-landers in imagining and creating alternatives to a society they understood as fundamentally broken.